You know in my May Book Haul when I told you I had an exciting post coming up? That would be this one. Today, we have a quickfire Q&A with none other than YouTube star Alfie Deyes. Not only that, but I'm also giving away a signed copy of The Pointless Book 2. Aren't you a lucky bunch? But first, to give you an idea of what the book is about, here's my review. Source: Review copies from both publishers. As you'll know if you've read my list of 10 Books Every Creative Person Needs, or if you've read my review of the first Pointless Book, I love books in which you can unleash your creativity. When you read a lot of fiction, it's refreshing to be able to splatter paint inside a book and scribble all over the pages without feeling guilty. That's why I liked The Pointless Book, and why I liked the second even more. To me, this book is a lot better than the first. It's not as repetitive, it's much more fun and the challenges are better aimed at young people, as before they felt a bit too young. I haven't had the chance to mess around with this on a long, tedious road-trip yet but I kind of want to go on one just so I can make it better with this. Does that even make sense? I don't know. I feel like we should move on. Like with the first book, this one comes with a free app and it is mindblowing. On certain pages throughout the book, you are given the opportunity to design things - for example, a shoe or a planet. Once you have done this, you can place your phone over the drawing and it jumps from page to screen, spinning around in 3D with your design fully intact. I have no idea how that's possible but it's an amazing addition and I'm kind of obsessed with it. All positivity aside, I am wondering how long these books will go on for. By that I mean, is there going to be a third Pointless Book? A fourth? A fifth? I really like both books that are already available, but I feel like the idea of them could get old very quickly. But I guess we'll see. Overall, as I said in my last review, you don't have to be a fan of Alfie to enjoy this book. You don't even have to know who he is, although I'm sure all of you do already. Just whip out a pen and some crayons, give your brain a break and you're sorted! Earlier this month I was given the chance to do a quickfire Q&A with Alfie as part of the blog tour. So, here we go! What was your favourite part of the publishing process and why? Ohh, this is a hard one! I'd say either seeing the very first print of my book, or getting the opportunity to travel the world doing book signings. Being able to physically hold a copy of a book you've worked so hard on for so long is unbelievable! Hopefully I get to experience that myself, one day! Something I ask everyone - what is your most embarrassing moment? Awkward. 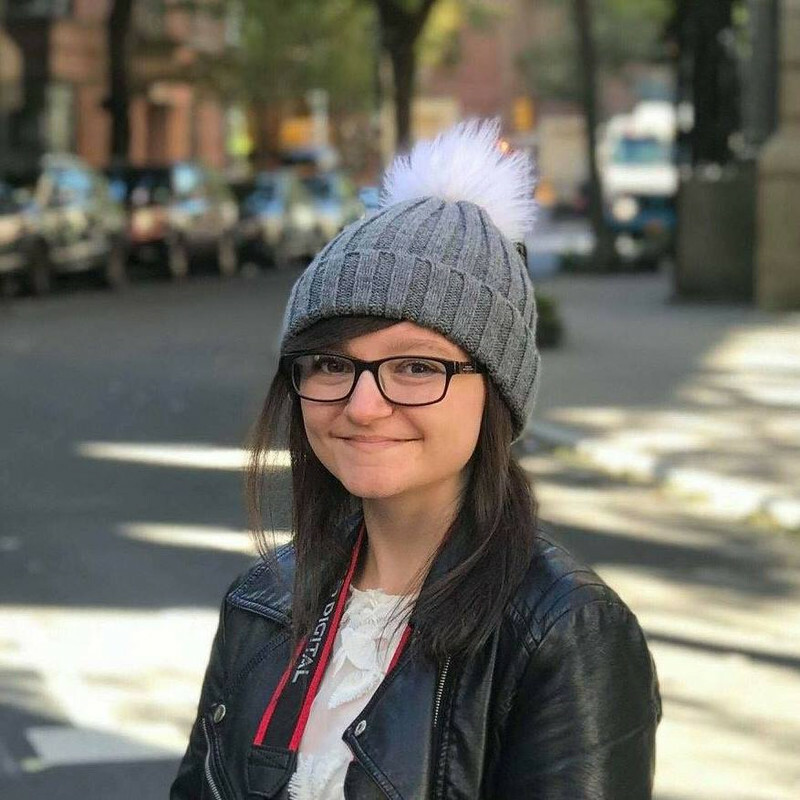 What advice do you have for other bloggers and vloggers, like myself? Make content YOU enjoy making. Have fun doing it. The more fun you have, the more fun people will have reading/watching. Don't look at the views/stats, they will grow over time! I can definitely attest to that. If you're having fun doing it, you'll naturally attract readers/viewers. If you're not having fun doing it... what's the point? Anyway, thank you to Alfie for taking the time to chat to me! Now, if you live in the US and you're a fan of him and/or the books, then you're in for a treat because I have a signed copy of The Pointless Book 2 to give away. But don't worry, people in the UK and Ireland - there's something for you, too! I'd love to win because YouTube is brilliant! 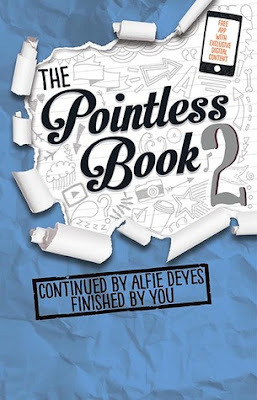 I also love creative books (my favourites are The Pointless Book, Wreck This Journal and Listography) and The Pointless Book 2 would be amazing to own! I would like to win as I enjoy watching YouTubers, especially Alfie who I watch daily and I don't have the book yet. I'd like to win as the book sounds so clever, and a lot of fun! I want to win the book for my son. I bought him Alfie's first Pointless book as a stocking filler for Christmas. He loves Alfie Deyes - as I'm writing this he's watching Alfie & Marcus Butler do the food pong challenge on our TV (he watches Youtube through our PS3). I bought Pointless Book 1 and it was a lot of fun so Pointless Book 2 would be a great addition to my collection of interactive books like this.